The Syria civil war enters its 7th year. In Syria, 6.3 million people are internal displaced and nearly 13.5 million are in urgent need of humanitarian assistance. Wars are brutal and an entire generation of Syrian children is at risk. According to Syrian Network for Human Rights, nearly 4,000 children were killed in Syria in 2016. A whole generation of Syrian children have been affected by the lasting war. Almost 5 million people had no choice but fled Syria because of the war, half of whom are children. 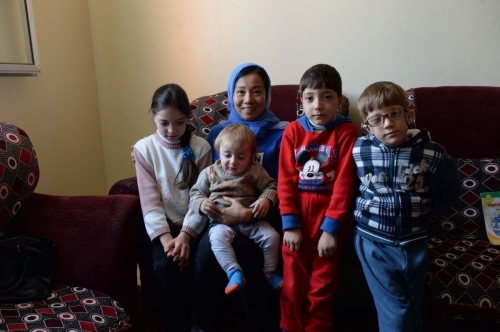 They lost their home, live a turbulent life and risk their lives to undertake dangerous journeys to other countries. 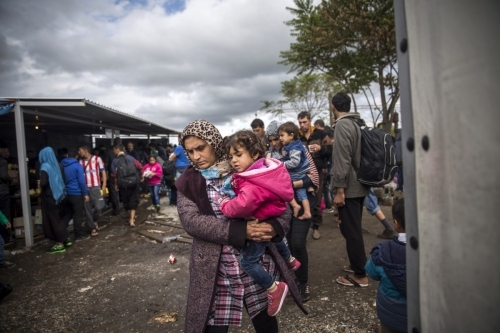 Those children who survive the perilous journey arrive physically and mentally exhausted. As refugees, children witness terrible violence and experience emotional stress, while their usual social support and education are disrupted. UNHCR estimates that about 900,000 Syrian refugee children and teenagers are out of school. Children get separated from their parents as a result of death, injury or displacement. They also face the dangers of recruitment into armed groups, sexual abuse and trafficking. Girls are often the most vulnerable to gender-based violence, child marriage and school dropout. Kanie Siu, CEO of Plan International Hong Kong, went to Egypt to visit some refugees there and she witnessed their hardships. Egypt hosts estimated 300,000 Syrian refugees. As of January 2017, around 117,000 have been registered, mainly living in Greater Cairo, Alexandria and Damietta. As per a UNHCR study, nine out of ten refugees lack the resources required to meet their basic daily needs. Kanie paid a home visit to a family of eight. When they were in Syria, the husband had a good and stable income by selling kitchenware. However, their house was blown up during the war. They were worried that their eldest daughter might suffer sexual violence and their eldest son would be recruited to join the army to fight their own countrymen, so they decided to flee their hometown. Because of the war, the family of eight have to flee their hometown and struggle to live in Egypt. The wife told Kanie that the Syrian airport was only 100 kilometres away from their home; however, it took them 15 days to get there! It turned out that they had to pass through numerous checkpoints throughout their journey to the airport and each checkpoint was stationed with strangers and soldiers to check people passing by. Even though they had paid a large sum of money for arranging a car to the airport, they still had to pay a ‘”toll” to pass the checkpoints until they finally arrived at the airport. She started to cry after telling the story, and tears also rolled down her husband’s cheeks. Their life is still hard after they finally arrived in Egypt. In order to ease the family’s burden and avoid sexual violence, their 17-year-old daughter has already got married. They lack money, so their children cannot go to school every day. Because of the language barrier and poor learning environment, their youngest daughter even doesn’t have the confidence to make eye contacts with others. Moreover, it’s very hard for the husband to find a decent job in Egypt thatcan support the whole family. 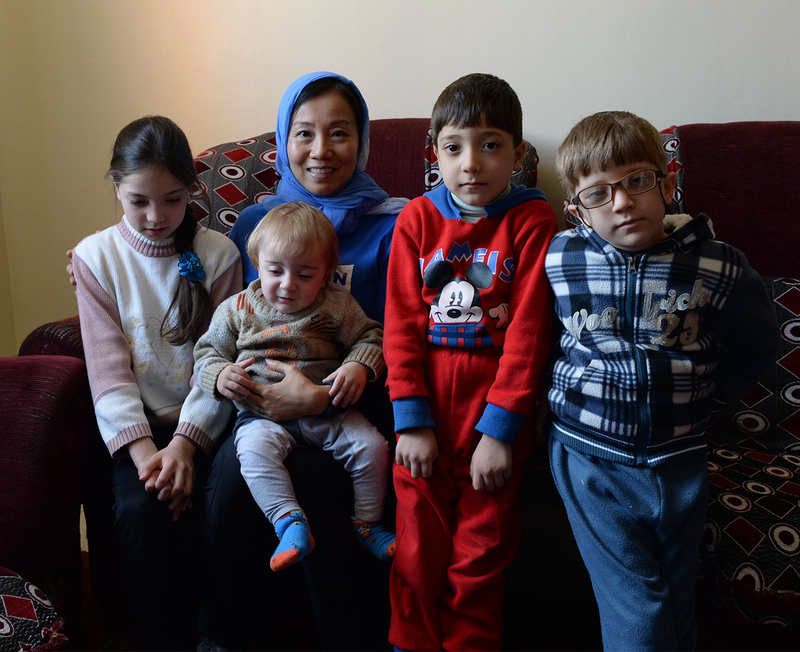 They have difficulties in adapting to the new life, but it’s impossible for them to return to their hometown, either. The future is unknown and the couple are uncertain about their life. These two girls fled Syria with their mother four years ago and now live in Egypt. They miss their home in Syria much. In 2014 Plan started to work with Syrian refugees in Egypt and our response programmes include providing protection, education, psychological support and financial assistance to the needy. More than 100,000 children and their families have benefited. Renovate and furnish 40 public schools, besides providing other educational services, in Greater Cairo, Alexandria and Damietta, for Syrian refugee children. This will benefit nearly 60,000 Syrian and Egyptian children over the next 2 years. 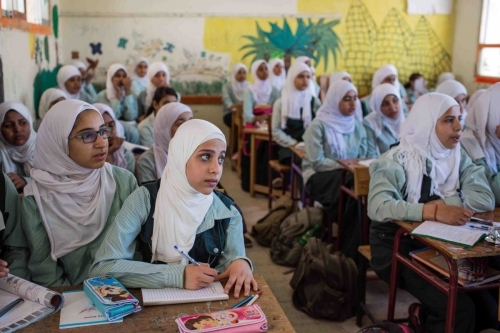 With Plan’s help, many refugee girls living in Egypt are able to go back to school and receive education. Set up Child Friendly Spaces in Iraq, Lebanon, Jordan and Turkey with partners to provide psychological support, stationery, food and medical service for the children. Work with Johanniter-Unfall-Hilfe (St. John Accident Assistance) in Hamburg, Germany to ensure vulnerable children receive the support and care they need when they arrive. Plan sets up Child Friendly Spaces in Turkey so children can learn language, play and receive psychological support. Plan International will continue to help the refugees around the world. Please lend a helping hand or we would lose the entire generation of Syrian children! Please make a direct deposit into HSBC account #640-068292-838. Please mail or email the original bank receipt (mention: Syrian Refugee Crisis Relief) together with your name, address and telephone number to Plan International Hong Kong. Please mail the cheques payable to Plan International Hong Kong Limited. Please mention: Syrian Refugee Crisis Relief and write your name, address and telephone number at the back.